The Gospel of the second Sunday of Advent introduced us to John the Baptist, the precursor of Jesus. He is a rather interesting unique character who ended up having his head chopped off, because his message was too strong for the powers that be. Getting dressed up these days in not very common any more. The dress code is casual. Of course we make exceptions for weddings, funerals and priests on duty. The first reading of Sunday's Mass use the idea of changing our clothes to capture the Advent idea of putting on a new way of life. Baruch calls on Jerusalem to "take off your robe of mourning and misery" donned when the people were enslaved by the Babylonians into exile, and put on clothing radiating splendor and glory, and joy, a cloak of justice, because the people are coming home from exile. John the Baptist was in the desert clad in animal skins, living off wild honey and he preached a message of repentance. He urged people to repent, to work at it. Salvation is like building a road. One dons work clothes, paths are straightened, hills and mountains lowered as work progresses, until the road is finished. The faithful (disciple) workers will be rewarded for a job well done by being clothed in the garments of salvation. The message coming through to us is that I have to work for my salvation, but God is always on my side. I know how many of you have seen a new road or bridge being constructed. In the past thirty years we have seen Ireland transformed, with many highways having been constructed across mountains hill and bogs, often at great cost. When work on a major project begins you would think it may never come to a successful conclusion, but yet the day soon comes when we have new highways which actually work and work well. It is the same with the Christian message we get in the New Testament, we try, fail, try again, fail and keep trying. That is the message of Baruch and John the Baptist, a message of hope and encouragement to us all. You know it often strikes me when I am hearing confessions of both young and older people, how important the Sacrament of Reconciliation is for us. I find that nowadays people use confession as a means of getting a bit of encouragement in facing the myriads of problems which people have. The priest is in a very privileged position, to perhaps be able to help some people cope with their problems, or perhaps what some people need is someone who can be a good listener and may be able to give words of encouragement to people who are getting discouraged. You all know the big problems which families have to cope with: divorce can cause many problems both to the adults involved, but especially to the children. Excessive alcohol consumption, drug abuse, economic problems caused by unemployment and poverty, lead to many family issues. Christians need to show a lot of care and compassion to everyone. We of course have the example of Jesus to guide us as we live out our Christianity. The message of Baruch in Sunday's First Reading is that God did not forget his people. The message for us today is we should not forget the good so many people do for us. We should never forget to say thank you to the people who care for us. You know one of the great lacks in our society is how fast we forget. go into many nursing homes and you will see so many elderly parents looking aimlessly for relatives who rarely show up. It is so easy to forget. So this Christmas let's try to be kinder to the people we cherish. The message of the Bible is that God does not forget us. Let us not forget and ignore the people whom we should cherish most. As i told you last week the fundraiser for Paul O' Shaughnassey's Family will be held at Sidetrack’s, 46th Street in Sunnyside on Sunday Dec.16, from noon to midnight. There will be lots of music, dancing and raffles for this worthy event. You are all welcome. Recently I was reading about TB in the Ireland of the 40's to the 60's. While tuberculosis is not mentioned much nowadays, back in the 1940's and 50's it was at epidemic levels in Ireland, and the fear of contagion left those who suffered from it, and their families isolated and stigmatized. I remember cycling out to Blanchardstown on Christmas Day morning about 1966, to visit a fellow seminarian of mine, in the James Connolly Memorial Sanatorium who was recovering from TB. The drug Streptomycin, which I can still visualize as a large pill, was the wonder drug which helped control this scourge of society. TB used to be called consumption since it in fact often ate away at the body. TB was embedded in the Irish psyche as a result of the Great Famine. In the years before the 1847 Famine there was a great increase in the population. With so many young people living in chaotic poor overcrowded housing and with poor nutrition many young people contacted the disease and died from fever. A national census in 1841 showed that during the previous decade about 135,000 had died from tuberculosis. The fever of the Famine was due to typhus and typhoid, and a large part was caused by TB. Between 1841 and 1851 census returns show over 150,000 died from TB. At the end of the 19th century many people were living in very overcrowded slums in Dublin and other cities and towns, places ideal for breeding tuberculosis. Tuberculosis treatment in the 19th century was problematic due to ignorance of the causal organism. Its cause was unknown until 1882 when the great German bacteriologist Heinrich Koch isolated the tubercle bacillus. This bacillus can affect almost any body organ but it was the lung form that can really spread the disease. Infection could be spread by coughing, sneezing, spitting, or even talking. The coughing up of blood was much feared; X-Rays discovered by Roentgen in 1895 which could show up lung infections die not come into common usage until the late 1950's. It became apparent early on that good fresh air had a beneficial effect so the first Sanatoria were set up in Germany and Switzerland. Good fresh air and lots of rest seemingly was effective against TB. TB was common in Ireland in the 1940's. The rate of infection rose during the two World Wars due to large numbers of people moving from place to place and becoming affected. Over 900 Irish people died from pulmonary tuberculosis in 1950. 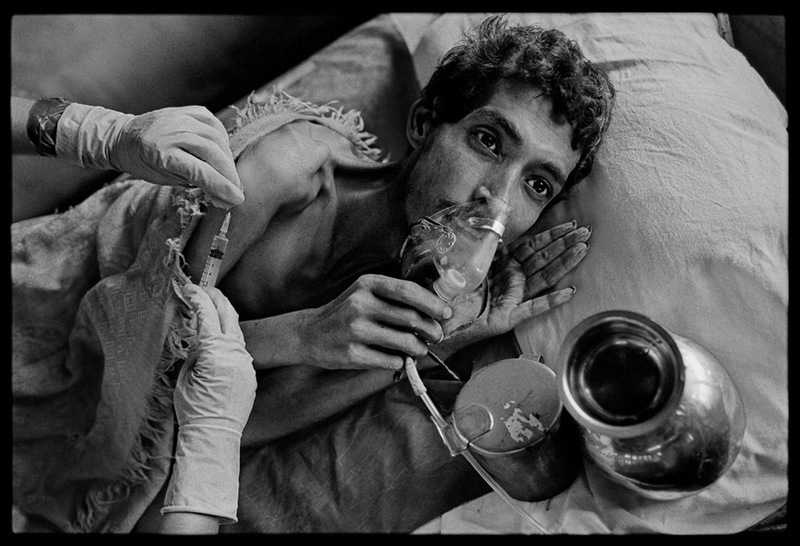 During the later 1940's everything changed as far as TB patients were concerned. Dr. Stopford Price of St. Ultan's Hospital in Dublin had been studying the use of BCG vaccine in Sweden. She was anxious to start an immunization program in Ireland for children but she met with great resistance from her medical peers. Eventually she was able to start using the vaccine in St. Ultan's and within a few years over 100,000 children were immunized. Research showed that the BCG vaccine reduced the incidence of tuberculosis in infants and children by 80% and this resistance lasts up to ten years. The in 1944 a Russian born scientist Dr. Selman Waksman , working in the United States discovered the first antibiotic to be effective against tuberculosis. This discovery of wonder drug Streptomycin deservedly earned Dr. Waksman the Nobel Prize in medicine. This drug, later in the big pill form was to be a salvation for many people but it was not available in Ireland until late in the 1940's. Given by injection every six hours it wasn't a pleasant form of treatment, but it was effective. Sanatoria began to be set up in Ireland by Dr. James Deeny, Chief Medical Adviser to the Department of Local Government and Public health in 1944, Sites were located in Ardkeen, Waterford, Merlyn Park in Galway and Glanmire in Cork. When Dr. Noel Browne was appointed Minister for Health in February 1948, Dr. Deeny told him about his plans for these beds and Browne made a public announcement next day that 2000 extra beds were being provides in new sanatoria. Dr. Browne had lost his father and two siblings toTB. Dr. Browne himself also had suffered TB. Next week I will continue this great story of how TB was conquered in Ireland.